Info Quincy, Josiah (1859-1919) — of Boston, Suffolk County, Mass. Born in Quincy, Norfolk County, Mass., October 15, 1859. 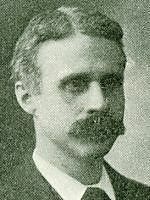 Great-grandson of Josiah Quincy (1772-1864); grandson of Josiah Quincy, Jr.; son of Josiah Phillips Quincy (1829-1910); nephew of Samuel Miller Quincy; son-in-law of Samuel Robertson Honey. Democrat. Lawyer; member of Massachusetts state house of representatives, 1887-88, 1890-91; candidate for U.S. Representative from Massachusetts 2nd District, 1888; Massachusetts Democratic state chair, 1891-92, 1906; mayor of Boston, Mass., 1896-99; candidate for Governor of Massachusetts, 1901; delegate to Massachusetts state constitutional convention, 1917; candidate for Massachusetts state attorney general, 1917. Died September 8, 1919. Burial location unknown.